MICROWAVE DIRECTIONS: In medium bowl, combine turkey, sour cream, taco seasoning mix and 1/4 cup of the cheese; mix well. Spread 1/4 of turkey mixture down center of each tortilla; roll up. Place1 burrito on each of 4 microwave-safe plates. Sprinkle each with 1 tablespoon of the remaining cheese. Cover with microwave-safe plastic wrap. 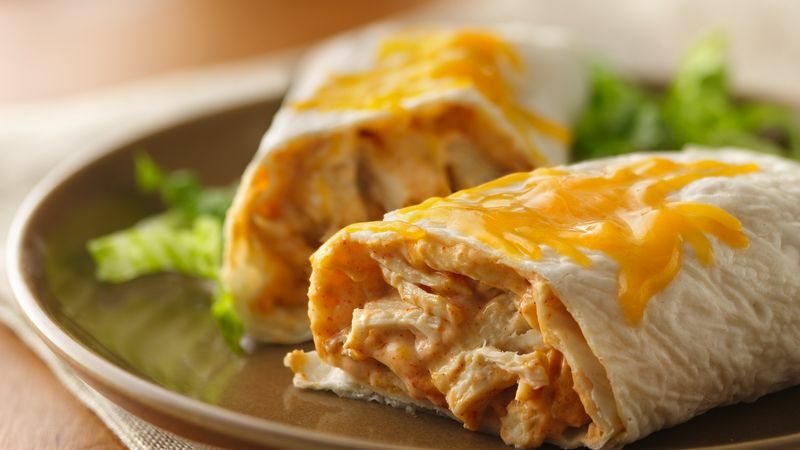 Microwave each burrito on HIGH for 1 to 2 minutes or until thoroughly heated. If desired, serve with salsa and shredded lettuce.